Instructions on how to connect Operate to Zapier to streamline integrations. 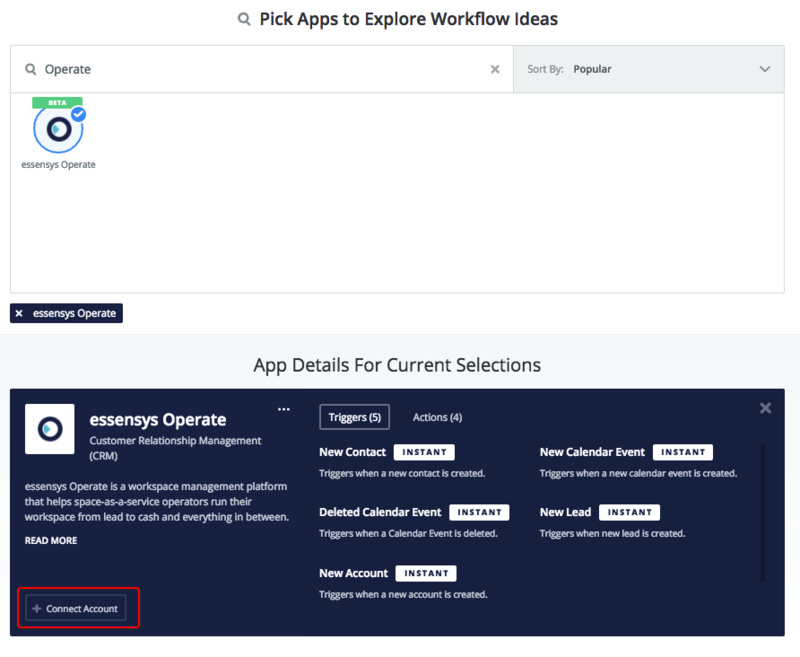 Once you have signed up for Zapier, you can search for apps integrated with Zapier on the explore page, here you can find essensys Operate. Once Operate is selected, click 'connect account' to login with your existing Operate account. You will then be prompted to enter you Operate login details before you can use Operate when making a Zap. For any apps you want to integrate with Operate, those apps will need to have the necessary triggers and fields registered with Zapier. You will be able to see what fields and triggers that have registered when you add their app. 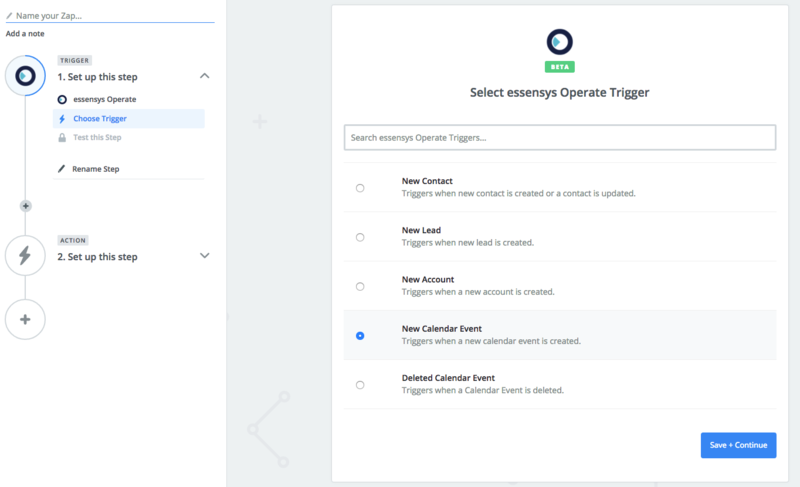 Operate already has a set of triggers and fields registered with Zapier, however if there are any you wish to add then please contact the Customer Success team via the chat widget. Please note that Zapier is best used for 'one way', 'one time' actions, when pushing information from one master system into another, rather than to keep two systems in sync as this can lead to duplication of data. You may want to add a Filter to your triggers. This will allow you to add more conditions around what events will trigger an update, and it will also save you from running through your allotted 'Zaps'. For instance, if you are using the 'Update Account' trigger, you can filter to only receive updates where Record Type is Account so that you do not get a Zap each time a Broker is updated using LeadDADI. Or, you may want to only get updates related your location. Zapier applies some deduplication to prevent actions from being repeated for a single trigger. See here for more information.